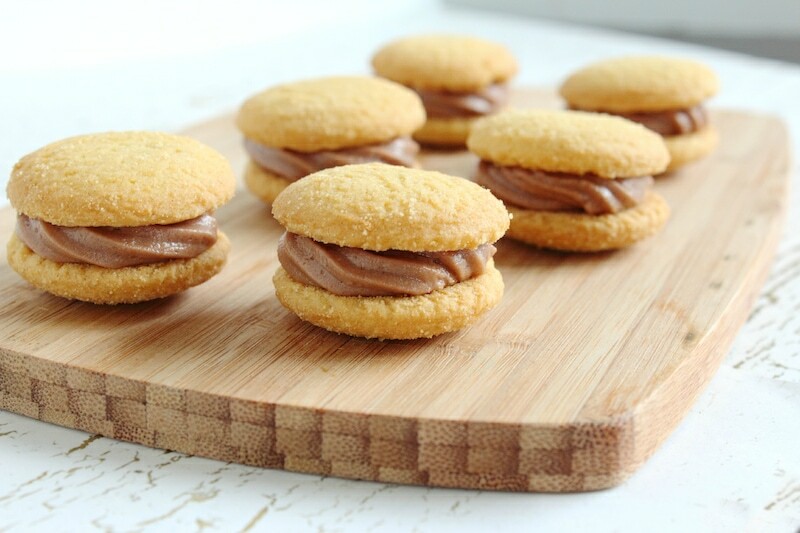 Are you up for a Nutella recipe because I have a Nutella dessert idea that is going to rock your world. It is so easy to make that I almost feel bad using the word recipe. It’s more of an arrangement. Can I call this an arrangement? Not everything has to result in a filthy kitchen and a sink full of dirty dishes. Sometimes, I want to eat a fabulously sweet treat that is easy to make with little to no effort. Are you with me on this? 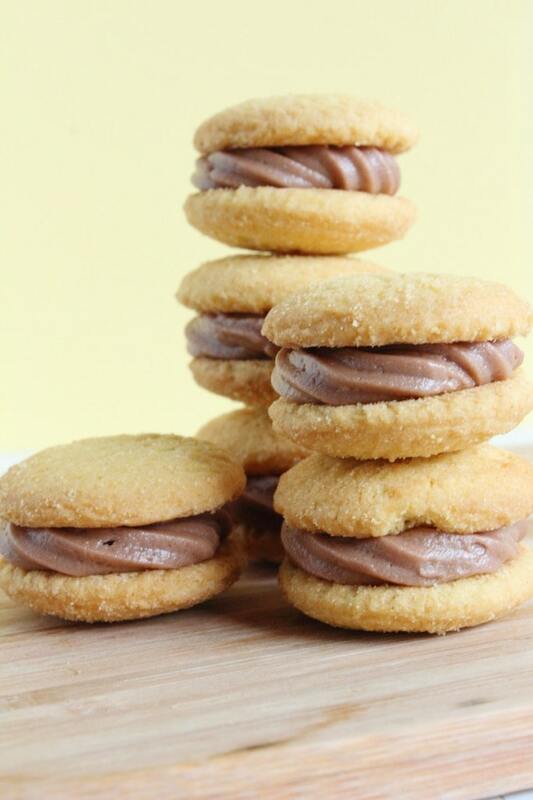 Well, how does vanilla wafers with hazelnut filling sound like to you? 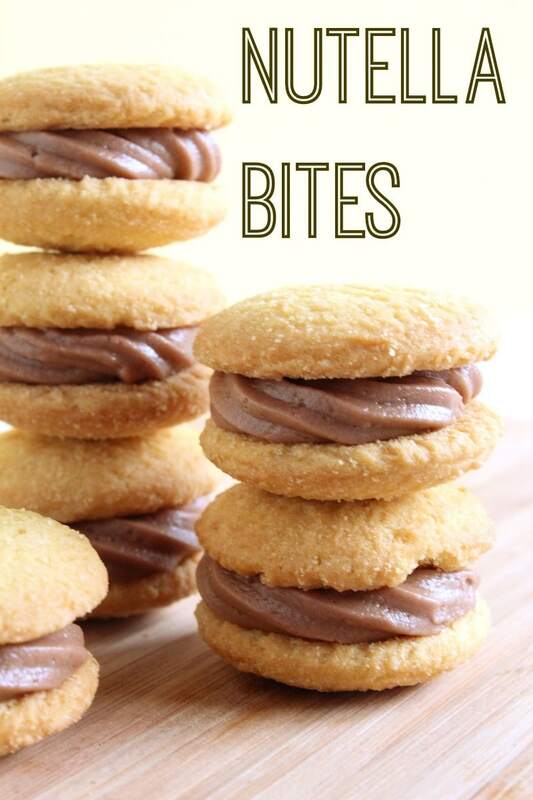 Can I introduce you to Nutella Bites? Hello lover. Yes. It’s another Nutella recipe. Can you blame me? Please. AND THESE ARE SO EASY TO MAKE. If you have company coming unexpected and you need to whip something up in a hurry, this is the Nutella dessert for you. With just a few ingredients, you can have this sweet treat ready in no time and your guests will have their chocolate cravings satisfied. I also think these make great after school snacks. My children love it when they come home every now and then and find something super fun waiting for them. I very rarely make them surprises like this. That’s why it is actually SPECIAL when I do. Sure, they can open up a bag of Cheetos or have something from the pantry right off the bus. But on a FULL MOON, I will have a plate of goodness like this waiting for them and it makes them feel like it’s their birthday! LOL With little to no effort on my part. It just tastes like I worked all day. SCORE! Easy Easy Easy Easy. Ready? See your oven. Ignore it. In a bowl, using an electric mixer, beat together the Powdered Sugar, Butter, Hazelnut Spread and milk to make a frosting. If it is too thick add 1 teas. of milk at a time until it reaches desired thickness. Spoon or pipe the desired amount of frosting onto the flat side of a cookie and top with a second cookie. Serve or store in an airtight container in a cool place. To see what Audrey made this week for ‘Getting Gorgeous in the Kitchen’, click here. To see more recipes that I’ve made for the blog, visit my EAT section.